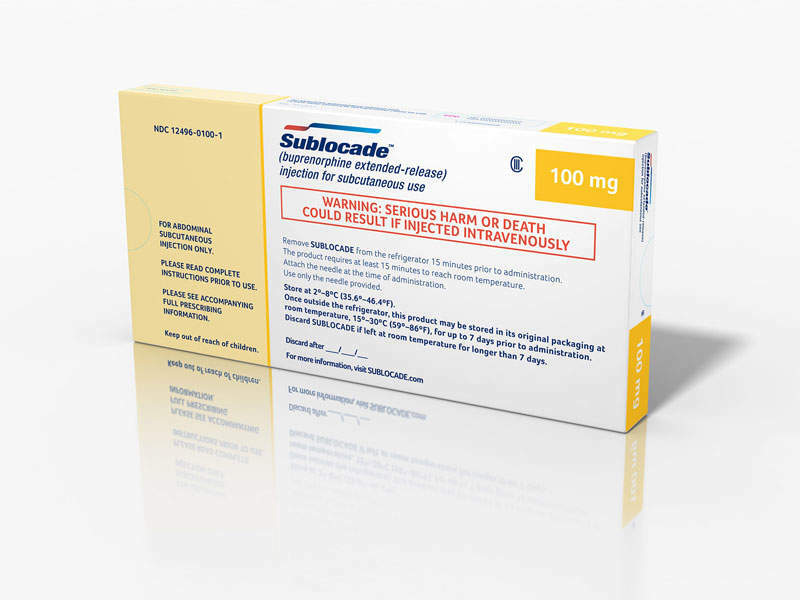 Sublocade™ is a once-monthly injectable buprenorphine formulation available for the treatment of opioid use disorder (OUD). Image courtesy of Indivior. Sublocade™ can be administered through subcutaneous injection. Image courtesy of Indivior. The drug contains buprenorphine, a partial agonist of mu-opioid receptor. 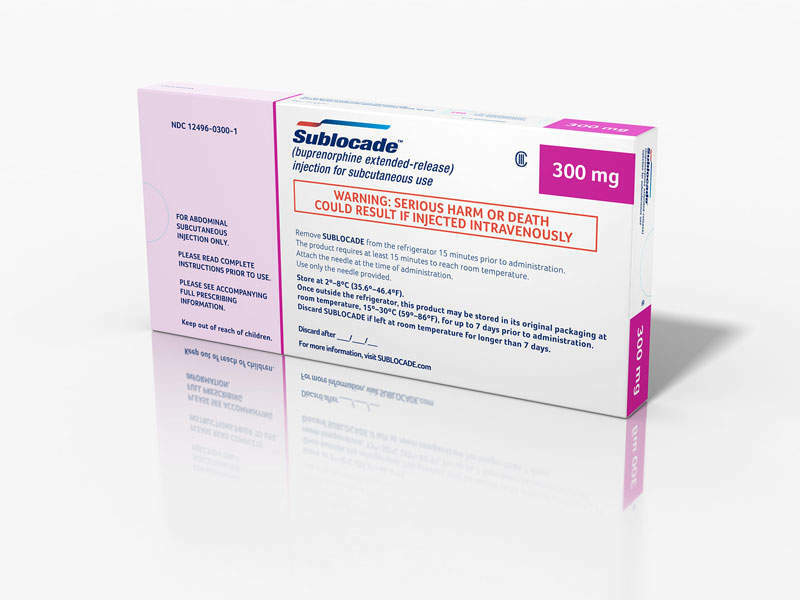 Sublocade™ (buprenorphine extended-release) is a partial agonist indicated for the treatment of moderate-to-severe opioid use disorder (OUD) in adults. Formerly known as RBP-6000, it was discovered and developed by Indivior, which submitted a new drug application (NDA) to the US Food and Drug Administration (FDA) in May 2017. The Psychopharmacologic Drugs Advisory Committee and Drug Safety and Risk Management Advisory Committee of the FDA voted 18 to one in favour of approval in October 2017. Approval was given in November 2017. Indivior plans to launch the drug in the US market in Q1 2018. Commonly known as opioid addiction, OUD is a chronic, relapsing disease characterised by repeated opioid use. Symptoms include prolonged self-administration of opioid substances for non-medical purposes, a strong desire to use opioids, and withdrawal when in-take is abruptly stopped. According to the 2016 National Survey on Drug Use and Health, an estimated 12 million people are affected by OUD in the US, while an average of four people die of opioid overdose an hour. 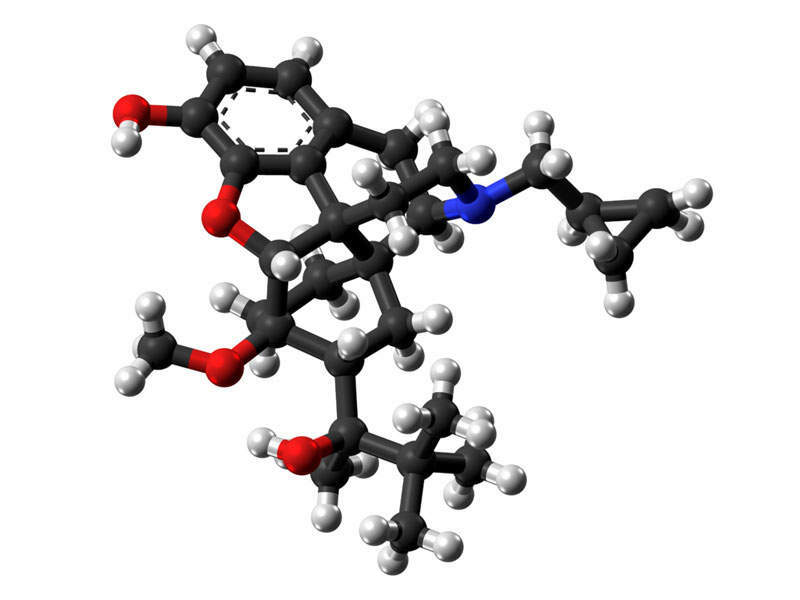 Sublocade™ is composed of buprenorphine, a partial agonist of mu-opioid receptor. The drug works by delivering sustained plasma levels of buprenorphine, which transforms into high mu-opioid receptor occupancy in the brain. The drug is available in 100mg and 300mg doses for subcutaneous use. The safety and efficacy of Sublocade™ was tested in two clinical trials. The first trial was a randomised, controlled clinical study, while the second was an open-label trial. The two clinical studies enrolled 848 adult patients diagnosed with moderate-to-severe OUD, who began treatment with buprenorphine/naloxone sublingual film. The results were collated based on urine tests and self-reports. Results demonstrated that a higher proportion of patients treated with Sublocade™ showed no evidence of illicit opioid use in the treatment period compared to the placebo group. The most common side effects reported in patients treated with Sublocade™ were constipation, nausea, vomiting, headaches, drowsiness, injection site pain, itching at the injection site, and abnormal liver function. Indivior also conducted an opioid blockade study on Sublocade™ 300mg to evaluate the subjective effects of illicit opioids, including drug-liking. The study was conducted for 12 weeks. The results of this study showed that Sublocade™ 300mg fully blocked the drug-liking effects of potent opioid pain medication hydromorphone. Indivior also conducted a 24-week Phase III pivotal clinical study on Sublocade™ 300mg. The patients were randomised to receive six once-monthly Sublocade™ 300mg doses, two once-monthly Sublocade™ 300mg doses, followed by four once-monthly Sublocade™ 100mg doses, or six once-monthly injections of placebo. Results demonstrated that both Sublocade™ dosage regimens were superior to placebo in achieving more illicit opioid-free weeks. The overall safety of the drug was found to be consistent with the known safety profile of transmucosal buprenorphine. 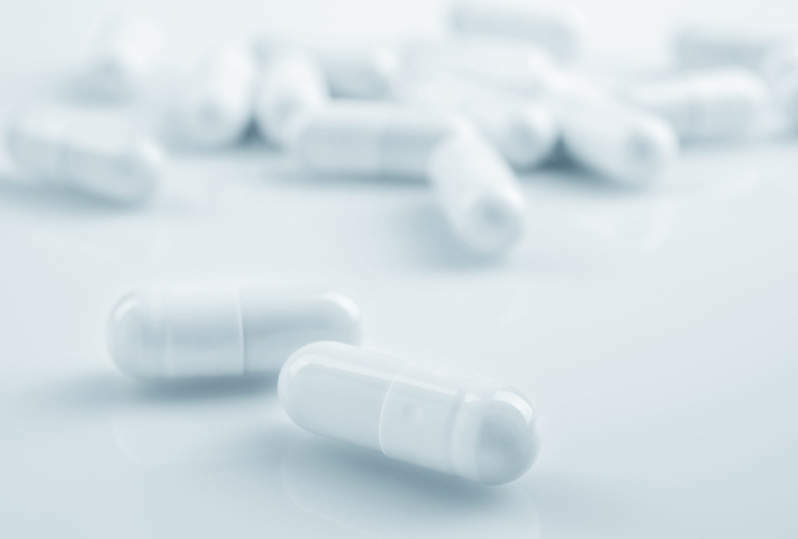 The most common adverse reactions reported during the clinical study in patients administered with Sublocade™ were constipation, nausea, vomiting, abnormal liver enzymes, headache, sedation, and somnolence.